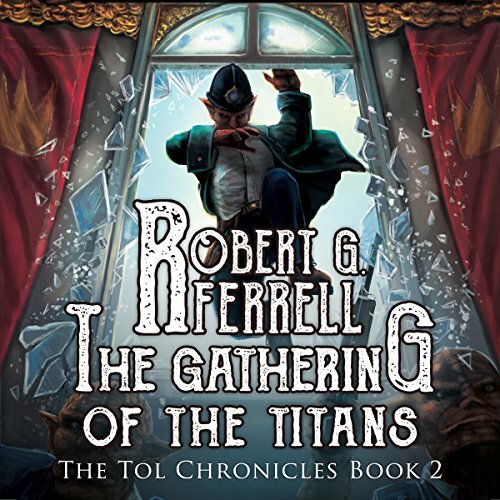 In book two of the Tol Chronicles, the once-thought-mythical race of titans turns out to be not so mythical after all. And as they stream in from all corners of N'plork to occupy their rediscovered underground metropolis, Tol has some very serious peacekeeping to do. That is, when he's not busy being a globe-hopping goblin of justice, chasing a would-be assassin, taking down a pretentious crime boss, and foiling an insidious kidnap plot while coping with too much magic, transdimensional ne'er-do-wells, questionable flying machines, and a frequently interrupted romance.